Let’s welcome your guests with this cute Magician Party Door Sign. 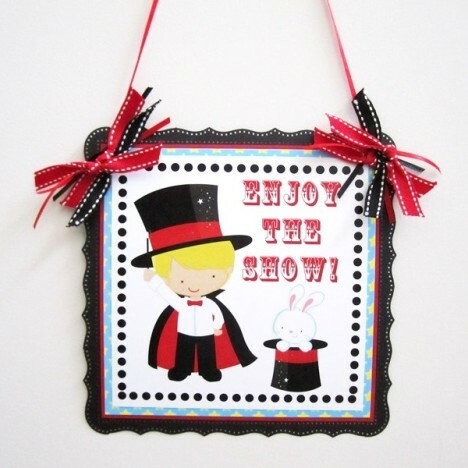 It’s a nice decoration to display at your front door or gate. 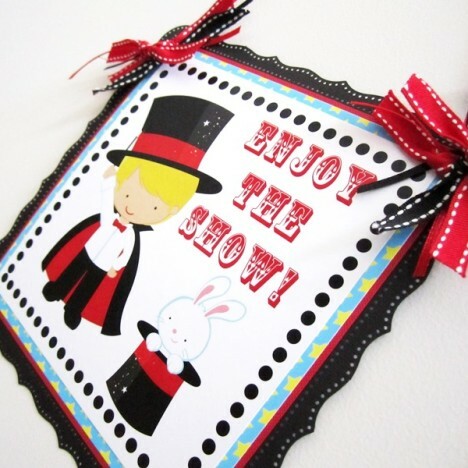 This will let your child’s guests know that the come to the right place. 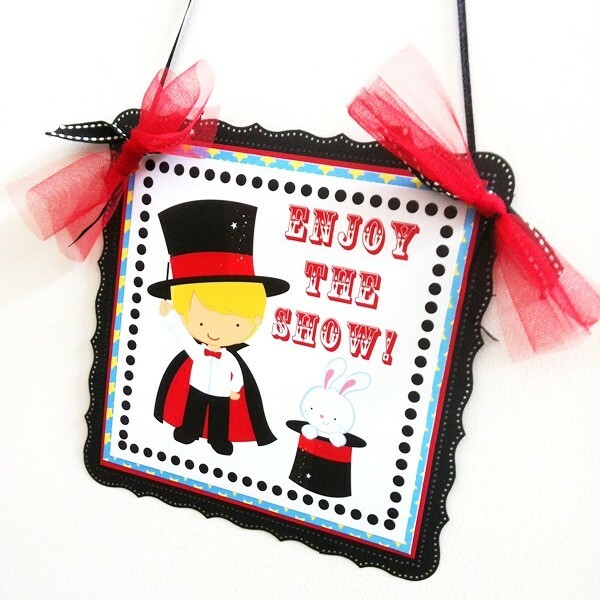 Enjoy the show, and be amused and entertained. 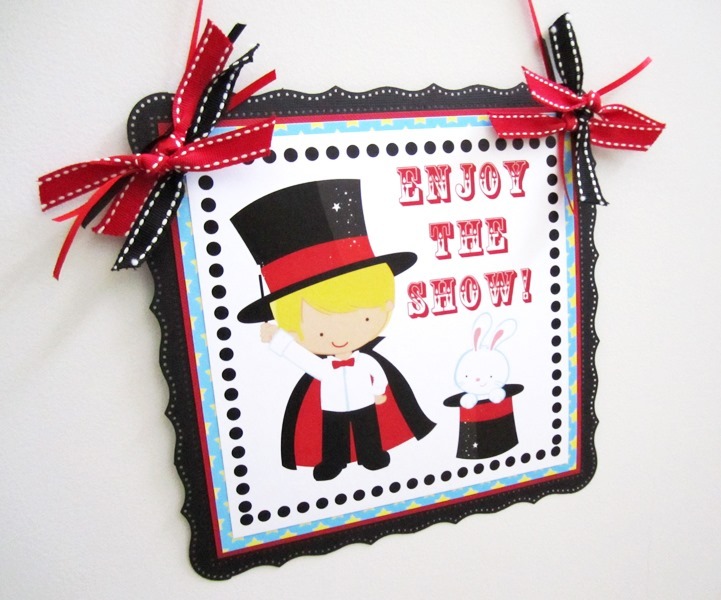 This door sign is for a boy’s Magic Show party. 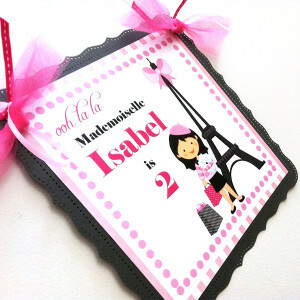 We also have one available for a girl in a different listing. 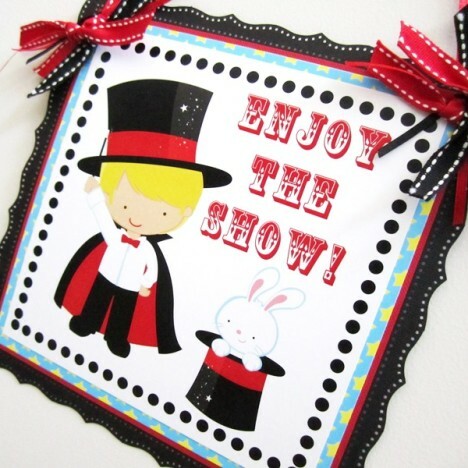 This adorable welcome door sign is in black and pink, with a boy that can be personalized, accompanied by none other than the bunny in the hat images. 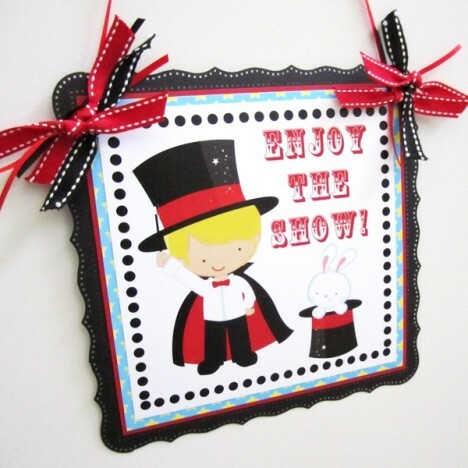 Let us assist you in creating a birthday bash that your little magician will never forget. 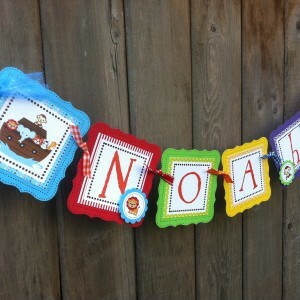 The boy’s hair color can be personalized to meet your child’s hair color. 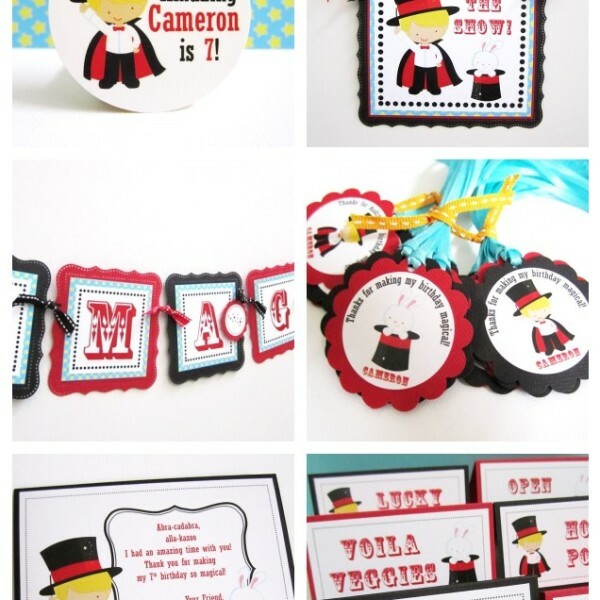 We can do a boy image with Blonde, Brunette and Black colors. 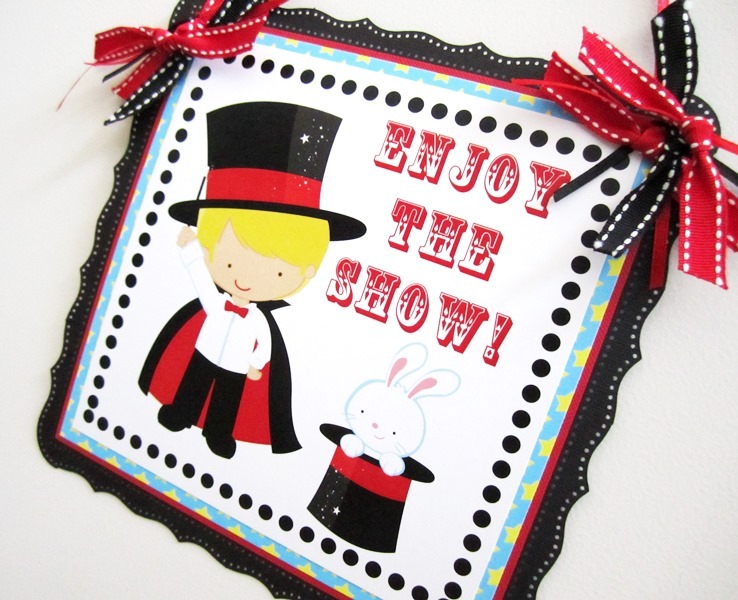 Furthermore, this Magician Party Door Sign has the text: Enjoy the Show. 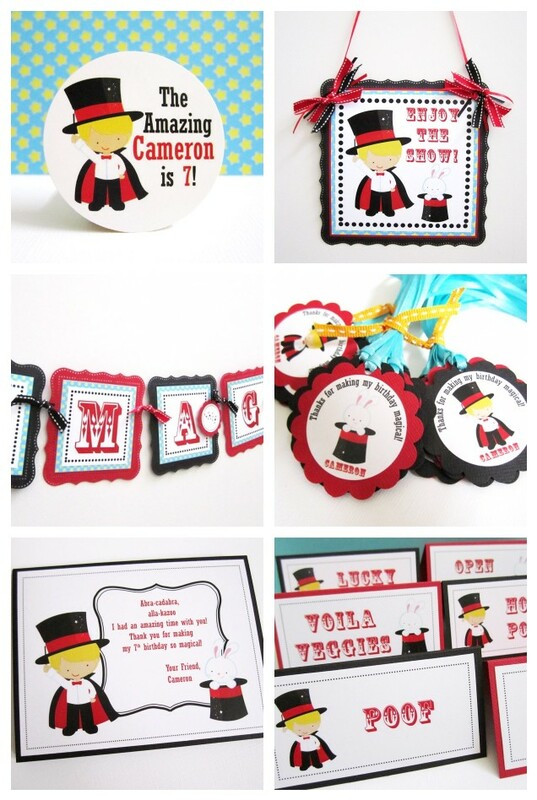 Should you have a different text in mind, please let us know and we will customize it for you. 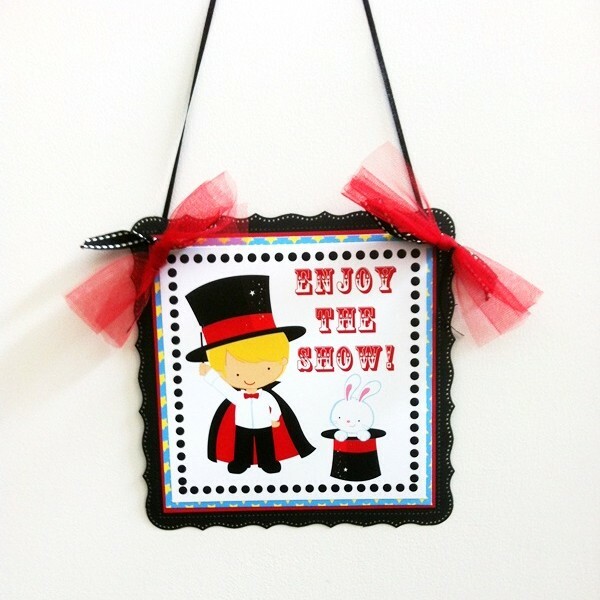 This Magician Party Door Sign measures about 8.5″ or 21.59 cm. 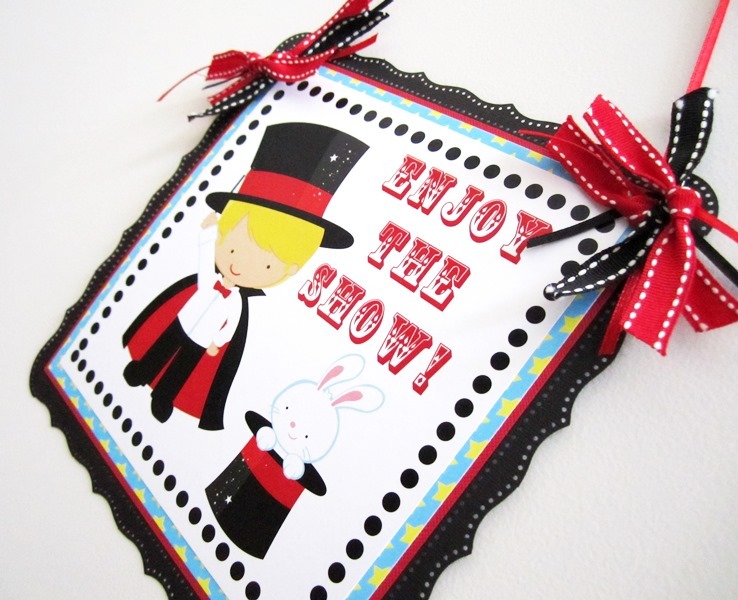 With a stylish border, it surely is a one of a kind party display. On billing details section, there is order notes field where you can let us know any details that we should know. 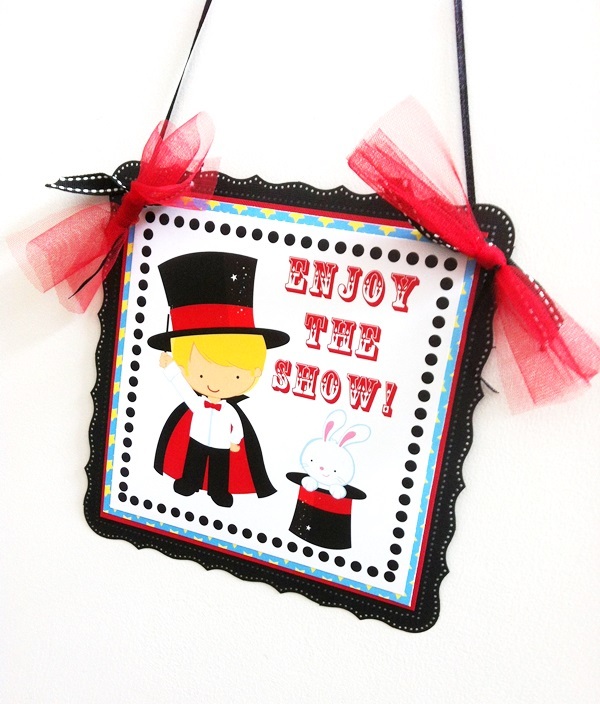 Should you like to have a proof e-mail to you, please let us know. No proof will be provided unless requested. This is to speed up the production process. 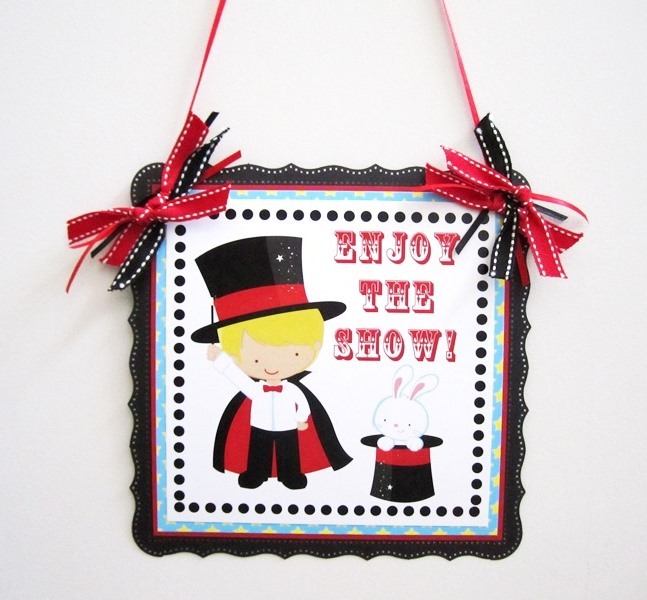 Are you looking for party decorations that compliment this Magician Party Door Sign?